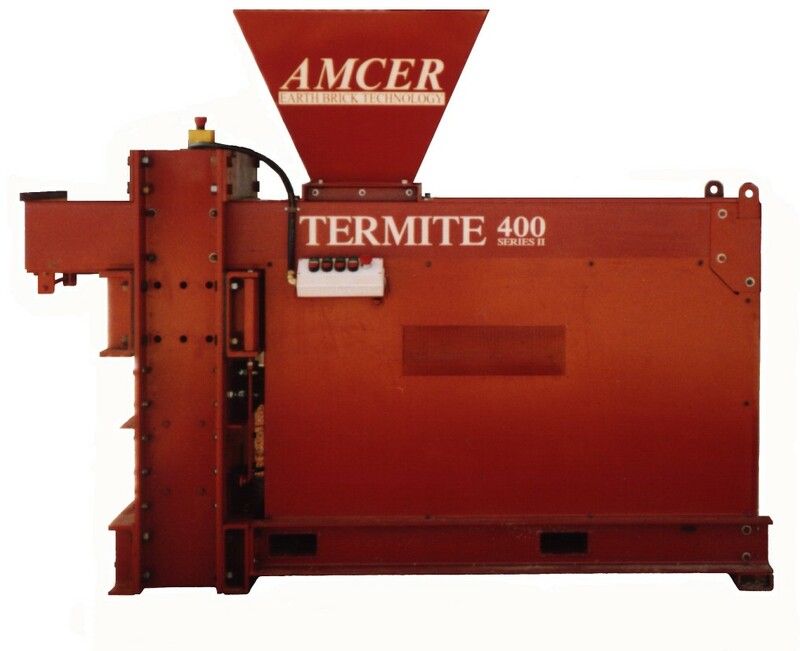 The 'Termite 400 Series II' Brick Press is appropriate for use by communities, contractors and persons requiring large quantities of Pressed Earth Bricks or Stabilised Earth Bricks suitable for load bearing or infill applications. A Termite 400, with additional primary feed hopper and conveyor, being installed at Condobolin NSW. This brick plant was supplied to the Wilcannia Local Aboriginal Land Council in 1998 for community brick production programs. It was then relocated to Condoblin in 2006 to make bricks for a community project there. It is currently being used for local community building projects.